Fit Tip Friday: Transverse Abdomi-What?? 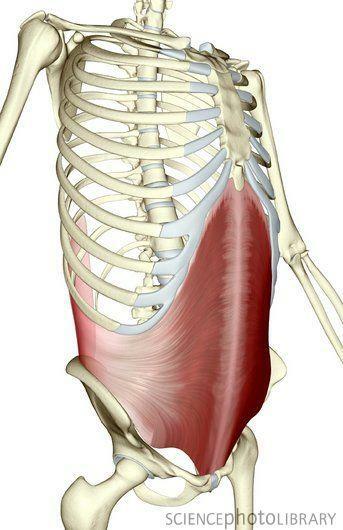 For this week’s post I’d like to shine the light on our transverse abdominis, or TVA for short. The TVA is a deep abdominal muscle that runs across the front half of our abdomen, stabilizing the trunk by compressing the ribs and internal organs. When we successfully contract our TVA during movements such as squatting, deadlifting, and overhead pressing, we are able to recruit the other small muscles that assist in keeping our bodies stable as well, reducing the risk of injury. In addition to keeping us safe while we perform every day tasks and badass movements in the gym, the TVA also acts as a natural corset, keeping the stomach flat. 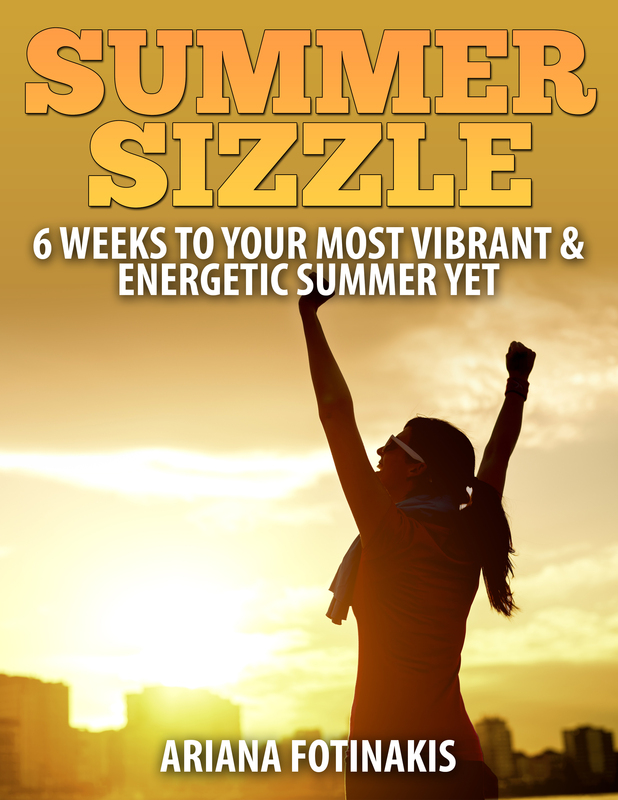 I see all these articles in magazines and on the internet about how to get a flat belly, and while some do include exercises that strengthen the TVA, if you don’t know how to activate it properly you’re not going to reap the benefits of the exercise. Crunches and twists may get you a 6-pack and a pair of obliques, but if you have a weak TVA your stomach is still going to protrude. Not only that, the TVA also assists with child birth. While I can’t say for sure that a stronger TVA would make childbirth slightly less horrific, it seems plausible so given all of the above reasons why not work to strengthen it? Strengthening the TVA is a little different than working all of the other abdominal muscles, and you’re not going to be doing millions of crunches so you can thank me now. I like to begin training the TVA by practicing deep breathing techniques. Lie on your back with your knees bent and feet planted on the ground. If you’ve ever done yoga, you’ll probably be familiar with the following sequence: gently place your hands on your stomach and as you take a biiiiig deep breath in, let your stomach fill with air and watch your hands rise. Don’t forcefully push your stomach out, but let it stick out as far as it will naturally as you inhale. As you exhale, imagine you’re pulling your bellybutton back into your spine, and watch your hands lower. Repeat for at least 10 cycles of breath; more won’t hurt! This is a great way to cool down and relax at the end of a workout. Really pay attention to how your midsection feels when you’re imagining your bellybutton being drawn to your spine; that’s how your stomach should feel when you’re practicing any abdominal movement. I see people in the gym all the time doing flutter kicks, bicycles, and even basic crunches with their stomachs sticking out. This is not effective! Work at keeping that navel drawn in. After a few days of practicing the breathing techniques, we can add some movement to the exercise. Lying on the floor in the same position, we can now begin to raise one foot off the ground during the inhale, keeping the bend in the knee. As you exhale and pull that bellybutton in, slowly release your foot back to the ground. Don’t let your stomach stick out as you lower your leg! Perform 10 reps for each leg, for a total of 20 reps. Feeling too easy? You can lie on your back and bring both feet off the ground, keeping your legs in a table top position. After you inhale and fill your stomach with air, exhale, draw the navel in, and lower one foot to the ground. Inhale to bring it back to starting position, and repeat on the other side. Again, 10 reps each side for a total of 20 leg drops. If this is still feeling too easy for your, try to watch yourself in a mirror while doing this. Does your stomach rise up even the slightest amount as you drop your leg? If so, you aren’t performing the movement correctly and need to regress a bit. Which is totally okay! Many people don’t even know the TVA exists, let alone work at training it. But the great thing about training a new muscle is that often responds quickly so it won’t be long before you notice increases in its strength. As your TVA gets stronger you can begin to drop both feet at the same time, and then add arm movements. There are tons of different variations to this exercise! The breathing technique can be practiced anywhere, at any time of day. While lying down is most effective for training purposes in my opinion, you can practice it seated or standing. I find it’s especially effective at calming me down when I’m super crazy stressed. Incorporate these movements into your training routine, and soon you’ll find yourself feeling more stable during your heavy lifts, admiring your flatter stomach, and poppin’ out children with ease. This entry was posted in Fitness, Personal Training and tagged exercise, fitness, health, strength training, weight loss. Bookmark the permalink. « Get Your Sweat On in 30 Minutes or Less!